As a small business owner, you know how much work there is to be done to grow your company, and it can be tempting to try doing it all yourself. Avoiding outsourcing can save money and allow you to maintain control over processes that will impact and shape the direction of your business. There are some tasks though that are better left to a professional. Graphic design is one such undertaking for which you may want to partner with an external company in order to maximize your success. It’s common to look at outsourcing of any kind as an expensive undertaking. But in fact, the opposite can be true—especially in graphic design. The average graphic designer now earns more than $40,000 per year, plus benefits if you decide to hire a full-time worker inside your company. Because outsourcing your efforts occurs on a per-project basis, the costs for the same work done externally don’t tend to be nearly as high. From a cost-benefit analysis standpoint, outsourcing your graphic design efforts, versus hiring an in-house designer, almost always makes sense. Many businesses choose neither, deciding to use existing resources instead. In that case, a number of other benefits for outsourcing come into play. In marketing and branding, consistency is key. Businesses need to make sure that every time potential and current customers see their brand, they experience the same overall feelings and connect it instantly to the experience they had (or are about to have) when buying your product or service. That consistency, however, can be difficult to achieve. A printed brochure comes with very different requirements than a roll-up banner or a Facebook ad. By working with a professional designer, you can successfully adjust for the medium while maintaining consistency. The result will be a more coherent brand presence that ultimately attracts more business. Graphic design is an art, but underlying it are a variety of scientific principles that actually shape the way your audience interacts with your designed materials. For example, individual colors have very different (and specific) meanings in Western Culture. Red tends to be more aggressive, while blue tones are calming. Depending on your color choice, your audience will react very differently to your brand visuals. Eye tracking studies have shown a similar effect in how your audience consumes printed materials and visuals. 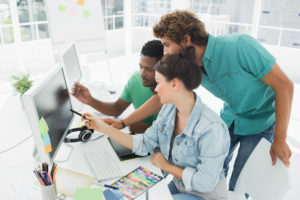 Professional graphic designers know about these principles and theories and incorporate them into their design drafts. Make no mistake: graphic design takes time. Doing it in-house may mean spending valuable time (and resources) that might be better spent working on other projects to grow your business. To design a business logo, for example, the average designer spends between 10 and 20 hours. Time is a resource most small business owners don’t have. Small business owners tend to keep working hours that are significantly longer than average, with more than 20% working all seven days of each week. Do you really have the extra time to build your visual brand? If the answer is no, keeping your graphic design efforts in-house could be a fatal mistake. By outsourcing instead, you can focus on growing your business through other tasks while trusting that your visual materials are in the right hands. Even if you have graphic design skills and the time necessary to come up with a coherent and consistent visual brand presence, it may be a good idea to work with an external company instead. The reason: a perspective from outside your business. Graphic design is a customer-facing endeavor. In other words, the materials produced are not for internal benefit, but aim to increase your profile among your target audience. Graphic design that your audience actually enjoys and uses as a motivator to engage with your brand can be difficult to accomplish. If you only rely on your own perspective from inside the business, you may not be able to relate to your audience enough to design materials they actually enjoy reading and viewing. The same is not true for an external partner. They know the importance of considering your target audience; in many cases, they may even be a part of it. At the very least, you’ll gain visual materials that your audience actually wants to see. 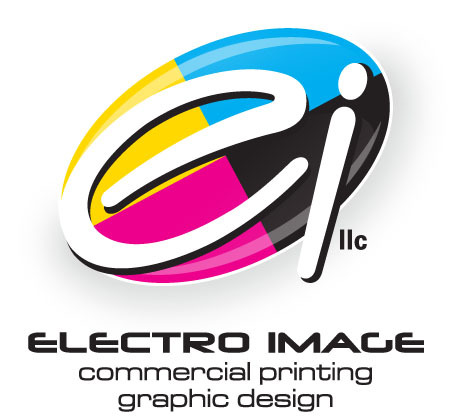 Every business needs graphic design services. From printed materials to online graphics, you will constantly need new visuals to continue building your brand, attracting your audience, and growing your business. Graphic design, in other words, doesn’t tend to be a one-time deal. If you find the right partner, outsourcing your graphic design can help you build a long-term relationship with professionals in the field. Your first logo may take a while as the graphic designer works through options and mock-ups with you. But future updates will be much faster, as you learn to work together in order to achieve your business goals. Outsourcing your graphic design efforts is more beneficial than you might think. The financial and intangible benefits far outpace the alternative, helping your business successfully reach and engage its target audience. As your business grows, you’ll continue that same relationship, keeping your brand consistent and continuing to build on a powerful visual presence.